During the last 30 years, the MIFE system for non-invasive ion flux measurements has become a powerful tool for in vivo studies of membrane-transport processes in living organisms. Pioneered by Dr Ian Newman in the Biophysics laboratory at the University of Tasmania, this system has been adopted by leading laboratories across the world and is commercially available from the University of Tasmania. Initially developed for plant physiology research, the MIFE system is now used in other areas of life science. As we move into the post-genomic era of research, the micro-electrode ion flux technique allows cellular physiological measurements to be linked to specific genomic data, thus providing a valuable contribution to functional genome/phenome research. In addition to being available for purchase, the MIFE system is available as a visiting research facility. Researchers from 14 countries have used an opportunity to apply the MIFE system to a broad range of research projects. If you are interested to learn more about this possibility, please contact Professor Sergey Shabala. This Web site www.mife.com is being set up to promote the MIFE system and to provide information about its use in various areas of life science. It also provides a basic overview of the theory of non-invasive ion flux measurements, as well as describes the existing MIFE hardware and software. The site also provides a link to the comprehensive collection of reprints of MIFE-related publications, compiled of ~ 110 papers published in international peer-reviewed journals. * To ask about the purchase of the new MIFE3 system - Director, BD&TT: Dr Darren Cundy. Maintained by Ian Newman. Date . 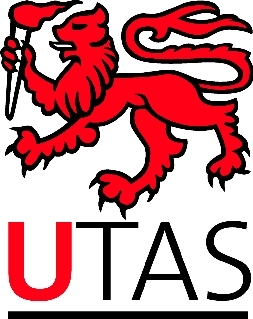 � University of Tasmania.